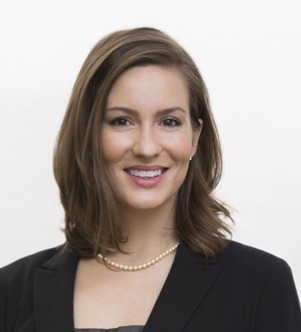 Sarah Bro focuses her practice on trademark prosecution and enforcement, as well as copyright, right of publicity and domain name acquisition and management. Sarah assists clients with all stages of domestic and international trademark prosecution, and provides consultation and strategy with respect to the selection, clearance, enforcement and licensing of trademarks, including clients in the global defense, agricultural, 3D printing, automotive, health and beauty, fashion and apparel, consumer goods, energy, entertainment, food and beverage, mining, pharmaceutical, software/mobile applications and security industries. Sarah has extensive experience in the research, drafting and filing of documents with the US Patent and Trademark Office, the Trademark Trial and Appeal Board and the US Copyright Office. Sarah has a proven track record in recovering domain names through the Uniform Dispute Resolution Policy (UDRP) and Uniform Rapid Suspension (URS) actions. Sarah is also well-versed in the submission of “takedown” and infringement notices across third-party websites, social media platforms, app stores and online marketplaces. She has experience in swiftly addressing instances of fraud, phishing or other online abuse by leveraging intellectual property claims through a multi-pronged enforcement approach. Sarah also regularly engages in reviewing, analyzing and reporting instances of potential infringement with enforcement recommendations, while partnering with foreign counsel, as needed, to implement the enforcement plan. She also provides intellectual property (IP) support and guidance in due diligence matters in connection with corporate transactions such as mergers and acquisitions. Sarah’s experience also includes a three-month secondment in Germany in the legal department of a leading generic pharmaceuticals company, where she handled a full array of trademark prosecution matters and global portfolio management and a clearance for a key worldwide product launch. Sarah is a member of the Firm’s Pro Bono Committee, the Associate Development Committee and the Orange County Associate Recruiting Committee. Sarah is a regular contributor to McDermott’s IP Update.